Valentine's day is not just about pinks and reds, it can be an explosion of happy colors. 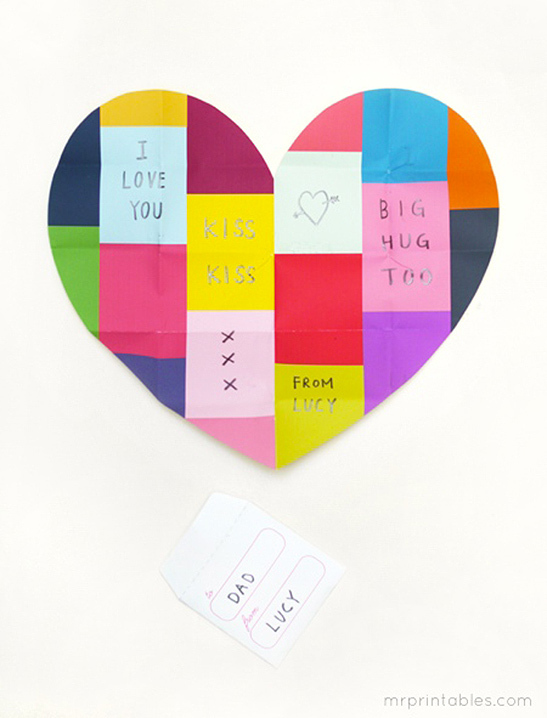 This is an easy, fun and most colorful heart card from our printable valentine cards collection. 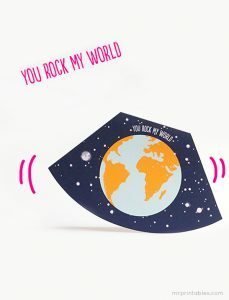 The idea comes from this: you receive a humble looking note folded into a tiny piece that has been passed to you like a little secret, you open it and find a sweet message of love. Suddenly a small and plain piece of paper looks big and so colorful and makes you very happy! Print and write your message anywhere on the heart. Fold it however you want. The challenge for children is to fold it quite small so it fits in the small envelope. You can also find a blank version of this in our Valentine coloring pages, so kids can color in all their favorite colors for the special person.